While the actual production order for the final four episodes of Batman: The Brave and The Bold have not yet been confirmed, The World’s Finest has received confirmation on the episode titles – along with initial details on some – for said episodes. The final four episodes of the acclaimed animated series consist of “Powerless!,” “Crisis 22,300 Miles Above Earth!,” “Four Star Spectacular!” and “Mitefall.” These four episodes will make up episodes #62 – 65 of Batman: The Brave and The Bold. 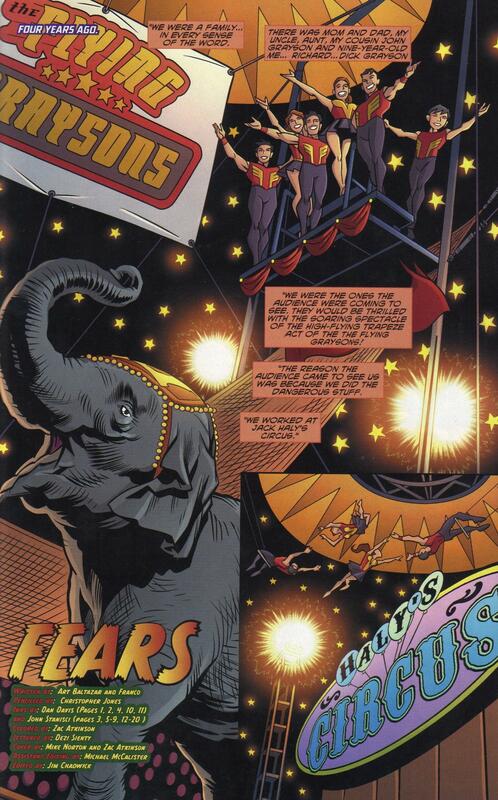 “Powerless!” will feature Batman teaming up with Captain Atom to face a dire threat, while “Crisis 22,300 Miles Above Earth!” features a story inspired by the classic Justice League of America/Justice Society of America team-up stories published by DC Comics. Details on the episodes “Four Star Spectacular!” and “Mitefall!” are being kept under wraps to avoid plot spoilers. 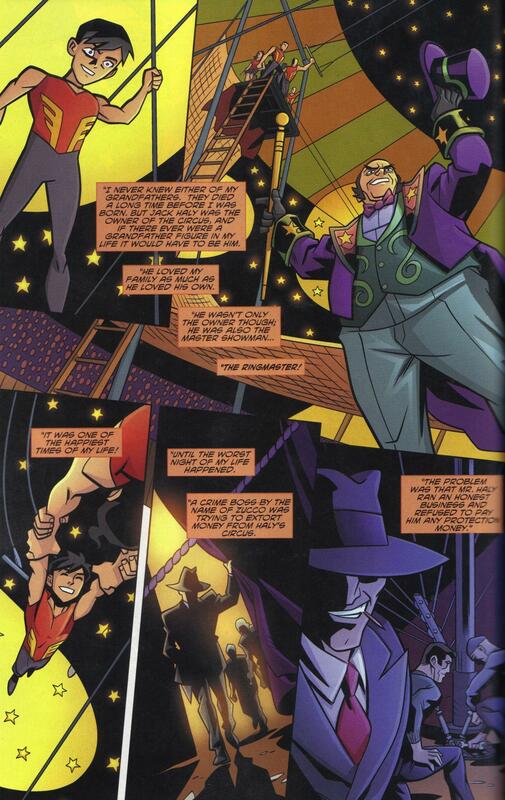 While not the final episodes produced, “Four Star Spectacular!” and “Mitefall!” are expected to act as a wrap-up for Batman: The Brave and The Bold. 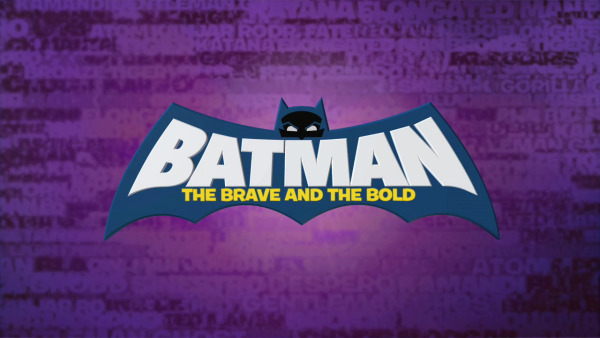 New episodes of Batman: The Brave and The Bold are slated to return Fall 2011 to Cartoon Network. 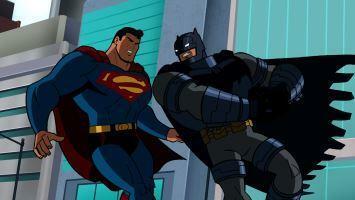 Click here to view the August 2011 Batman: The Brave and The Bold episode schedule for Cartoon Network. 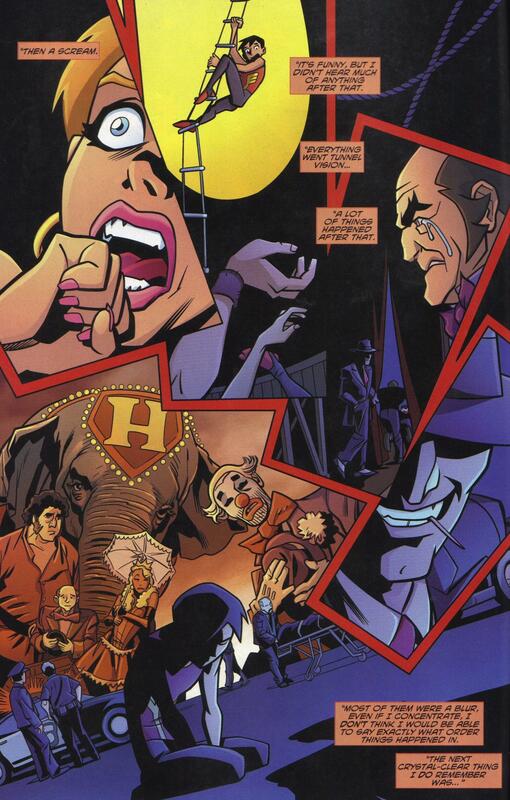 Continue to the The World’s Finest Batman: The Brave and The Bold subsite for more on the acclaimed animated series from Cartoon Network and Warner Bros. Animation. Stay tuned for further updates and coverage on both Batman: The Brave and The Bold here soon at The World’s Finest. According to Cartoon Network, Batman: The Brave and The Bold is back on the network starting August 5th, 2011, returning to the 6:00pm (ET) Friday timeslot. Reruns of the acclaimed animated series slated to air for the month. Schedule details for Batman: The Brave and The Bold episodes airing during the month of August 2011 are available below, with descriptions directly from Cartoon Network. Please note schedule details are subject to change without notice. Batman: The Brave and The Bold airs Fridays at 6:00pm (ET) on Cartoon Network. An updated episode guide for the series, featuring episode production numbers and additional details, can be found at The World’s Finest Batman: The Brave and The Bold subsite. Cartoon Network has also released schedule details for the August 2011 installments of the acclaimed Young Justice animated series, the show moving to the 6:30pm (ET) timeslot beginning August 5th, 2011. 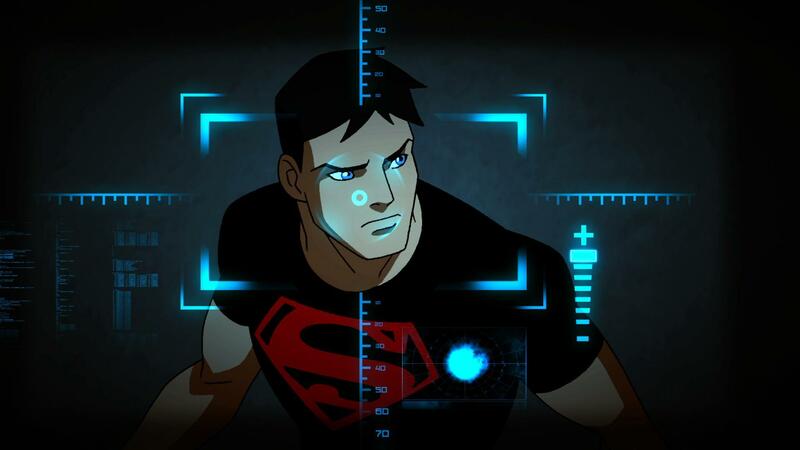 Reruns are currently slated to air during the month of August 2011, but new Young Justice episodes are slated to air Fall 2011, beginning with the tenth episode “Target.” The schedule break-down is as follows below. Young Justice airs Fridays at 6:30pm (ET) on Cartoon Network. Clips from the upcoming episode “Targets” are available to view here. Young Justice #6, the latest issue of the new DC Comics title based on the current Cartoon Network animated series of the same name, arrives in comic book and hobby stores today. 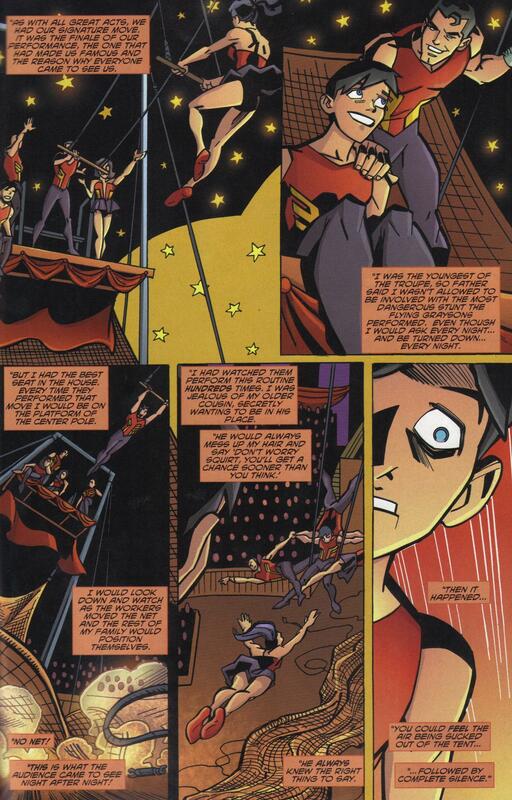 The issue, written by Art Baltazar and Franco with artwork by Christopher Jones, features the team reacting to Superboy’s startling revelation. Official details for this issue are available below. The cover price is $2.99US. 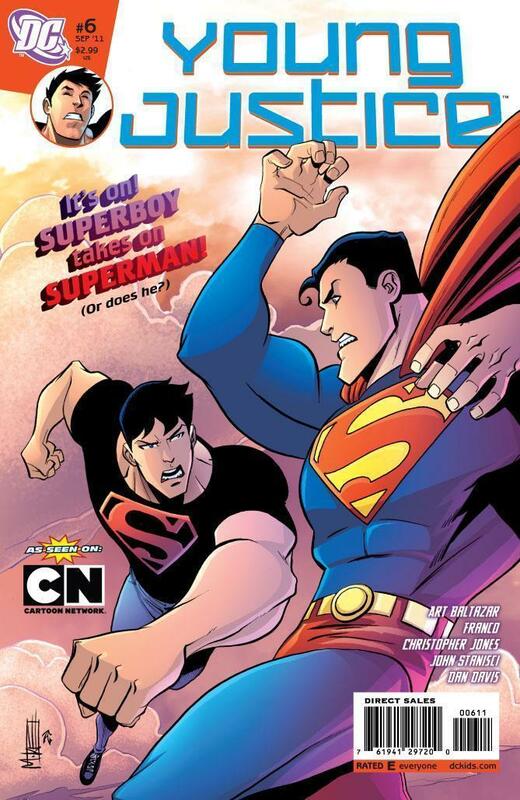 Young Justice #6 is also available same day digitally through DC Comics and Comixology. Stay tuned for further updates, including exclusive Young Justice content and more, here soon at The World’s Finest. Click here to discuss Young Justice #6! 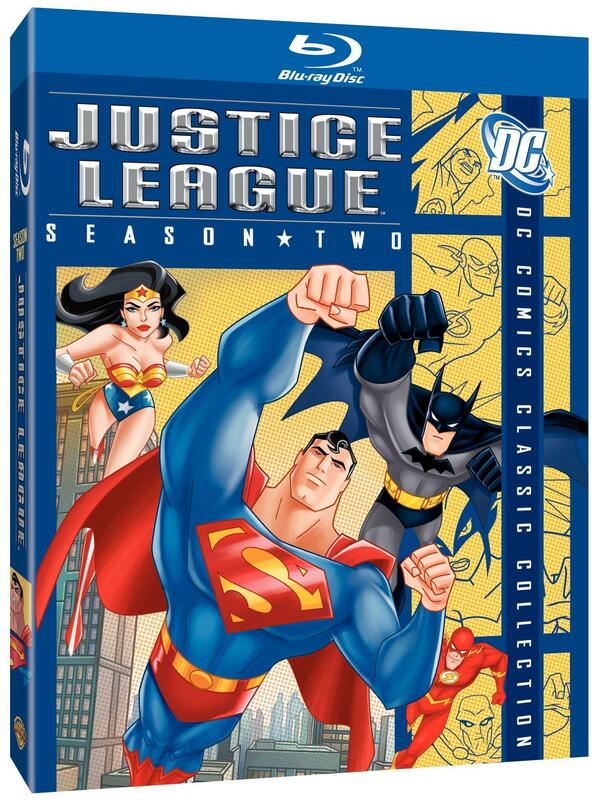 Today sees the release of the new Justice League: Season Two Blu-ray title from Warner Home Video, collecting the entire 26-episode second season of the classic Cartoon Network animated series. 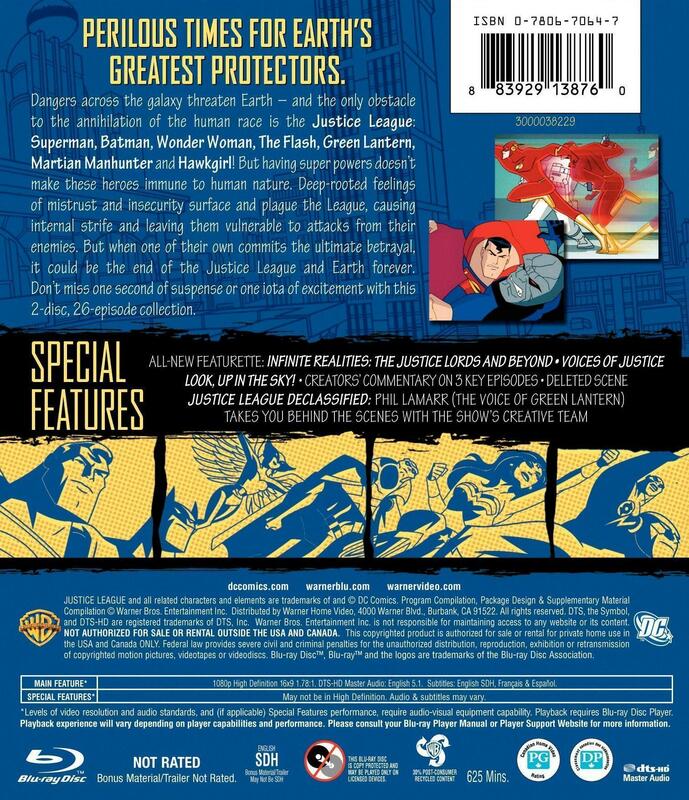 In addition to 26 episodes, the two-disc high-definition release also includes commentaries, featurettes, and trailers, including the all-new featurette “The Justice Lords and Beyond.” Further artwork and details are below. 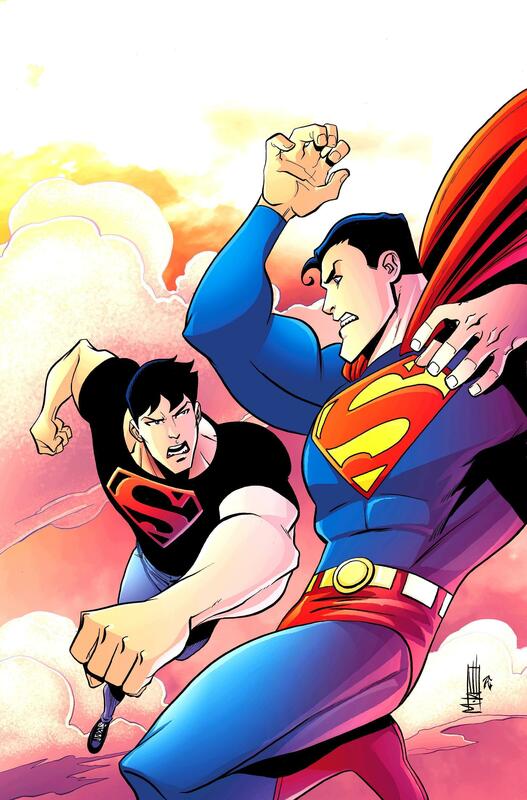 Superman, Batman, Wonder Woman, The Flash, Green Lantern, Martian Manhunter and Hawkgirl – they have all used their unique powers to fight evil across the galaxy. These seven super heroes unite to become the Justice League. Dangers across the galaxy threaten Deep-rooted feelings of mistrust and insecurity surface and plague the Justice League, causing internal strife and leaving them vulnerable to attacks from their enemies. But when one of their own commits the ultimate betrayal, it could be the end of the Justice League and Earth forever! 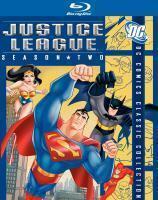 Justice League: Season Two, on sale for the suggested retail price of $39.99, is available at all retail and online retailers. 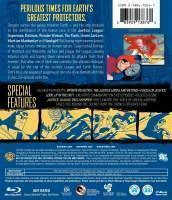 Click here for a review and further details on this Blu-ray home video release. Teletoon Canada Inc. today unveiled its Fall 2011 lineup for the Teletoon animation network featuring a mix of new series and returning favorites, with Young Justice slated to join the popular Superfan Friday programming block beginning September 2011. Teletoon will also be the exclusive Canadian home for Young Justice. Details for the Canadian debut of Young Justice can be found below, including a series description and premiere date. Being a teenager means proving yourself over and over – to peers, parents, teachers, mentors and ultimately, to yourself. But what if you were a teenage superhero? How much harder would it be to prove yourself in a world of super powers, super villains and super secrets? Would you be ready for life or death rites of passage? Would you be ready to join the ranks of the great heroes and prove you’re worthy of the Justice League? That’s exactly what Robin, Aqualad, Kid Flash, Superboy, Miss Martian and Artemis will find out as members of Young Justice. The first season of Young Justice will consist of thirteen episodes, according to a representative from the network. New episodes of Young Justice will debut Friday nights on the Teletoon Superfan Friday programming block, and will then re-air the following Sunday at 8:30am (ET). 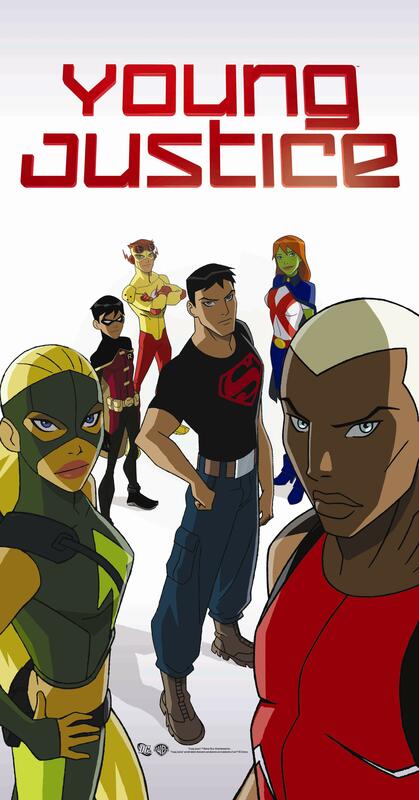 Young Justice will also air Saturdays at 1:00am (ET) as part of the Teletoon At Night programming block. In additional schedule news, Batman: The Brave and The Bold will be temporarily removed from the Teletoon Fall 2011 line-up to promote the new action shows hitting the animation network. New episodes of Batman: The Brave and The Bold will return later in the season. The new Fall 2011 Teletoon schedule launches September 5th, 2011.